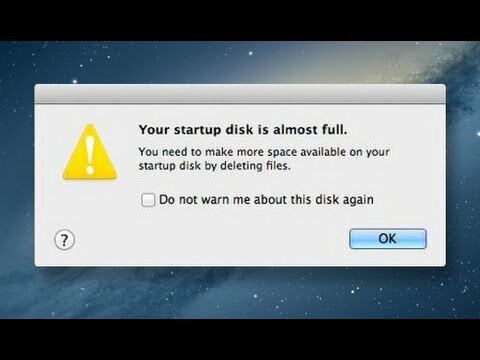 [ How To ] Increase Disk Space in OS X EI Capitan ? TECH: [ How To ] Increase Disk Space in OS X EI Capitan ? [ How To ] Increase Disk Space in OS X EI Capitan ? Macbook users generally face problem with their storage capacity. Though you have deleted a lot of files, storage remains full. There are several ways to increase available disk space. You can delete large or unused files, move files off your Mac, and compress files and folders save space. For more information about compressing files, see Compress or uncompress files and folders. To find out how much disk space you have, choose Apple menu > About This Mac, then click Storage. You can also check the other apps you use for ways to remove or compress items. Items you download from the Internet are in your Downloads folder. If you have many unneeded downloaded items, delete them. It’s a good idea to delete items you don’t need in order to free up disk space. Click Downloads in the Finder sidebar, or click and hold the Downloads stack in the Dock, then choose Open in Finder. Drag unneeded items to the Trash, then choose Finder > Empty Trash. Move files and folders you don’t often use to an external disk, or to a disk connected to your AirPort or other network. For more information, see Use external storage devices. Burn files and folders to a CD or DVD. For more information, see Burn CDs and DVDs.